One of the sources I examined for my report was a U.K.-based NGO named ACLED (Armed Conflict Location and Event Data Project), which has compiled counts of war deaths in Libya, Somalia and Yemen. At that time, ACLED estimated that about 10,000 people had been killed in the war in Yemen, about the same number as the WHO (World Health Organization), whose surveys are regularly cited as estimates of war deaths in Yemen by UN agencies and the world’s media. Now ACLED estimates the true number of people killed in Yemen is probably between 70,000 and 80,000. ACLED’s estimates do not include the thousands of Yemenis who have died from the indirect causes of the war, such as starvation, malnutrition and preventable diseases like diphtheria and cholera. UNICEF reported in December 2016 that a child was dying every ten minutes in Yemen, and the humanitarian crisis has only worsened since then, so the total of all deaths caused directly and indirectly by the war must by now number in the hundreds of thousands. In any case, even comprehensive surveys of fully functioning hospitals would only capture a fraction of the violent deaths in a war-torn country like Yemen, where most of those killed in the war do not die in hospitals. And yet the UN and the world’s media have continued to cite the WHO surveys as reliable estimates of the total number of people killed in Yemen. Wide acceptance of these results would have been a geopolitical disaster for the U.S. and U.K. governments, and would have further discredited the Western media who had acted as cheerleaders for the invasion of Iraq and were still blaming the Iraqi victims of the illegal invasion of their country for the violence and chaos of the occupation. 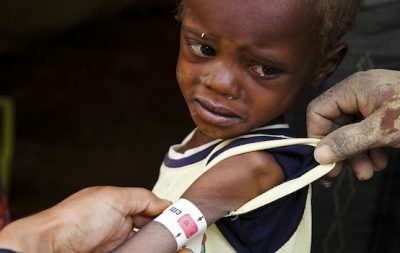 So, even though the U.K. Ministry of Defence’s Chief Scientific Advisor described the Lancet studies’ design as “robust” and their methods as “close to best practice,” and British officials admitted privately that they were “likely to be right,” the U.S. and U.K. governments launched a concerted campaign to “rubbish” them. Roberts was right that this was odd, in the sense that there was no legitimate scientific basis for the objections being raised to his work and its results. But it was not so odd that embattled political leaders would use all the tools at their disposal to try to salvage their careers and reputations, and to preserve the U.S. and U.K.’s future freedom of action to destroy countries that stood in their way on the world stage. By 2005, most Western journalists in Iraq were hunkered down in Baghdad’s fortified Green Zone, reporting mainly from the CENTCOM briefing room. If they ventured out, they were embedded with U.S. forces traveling by helicopter or armored convoy between fortified U.S. bases. Dahr Jamail was one of a few incredibly brave “unembedded” American reporters in the real Iraq, Beyond the Green Zone, as he named his book about his time there. Dahr told me he thought the true number of Iraqis being killed might well be even higher than the Lancet studies’ estimates, and that it was certainly not much lower as the Western propaganda machine insisted. Andrea Carboni of ACLED told Patrick Cockburn of the Independent newspaper in the U.K. that he believes ACLED’s estimate of the number killed in 3-1/2 years of war on Yemen will be between 70,000 and 80,000 once it has finished reviewing its sources back to March 2015, when Saudi Arabia, the U.S. and their allies launched this horrific war. But the true number of people killed in Yemen is inevitably even higher than ACLED’s revised estimate. As I explained in my Consortium News report, no such effort to count the dead by reviewing media reports, records from hospitals and other “passive” sources, no matter how thoroughly, can ever fully count the dead amid the widespread violence and chaos of a country ravaged by war. This is why epidemiologists have developed statistical techniques to produce more accurate estimates of how many people have really been killed in war zones around the world. The world is still waiting for that kind of genuine accounting of the true human cost of the Saudi-U.S. war on Yemen and, indeed, of all America’s post-9/11 wars.